Seniors know the way to valentine hearts is with a good party. Senior Citizens don't need lessons to paint the town red! But on Valentine's Day, they are especially clever folks! Love is in the air, and they are going to put their best foot forward to impress their friends and loved ones. One thing all seniors are ready for is cool party themes and holiday party activities. They don't need an excuse. While Valentines day tradition lends itself to broken hearts and even a bleeding heart to some, not our seniors. Our Seniors paint the town red with themed party ideas and a senior valentines party of all types. If they can think it, they can make a party out of it. Their motto: Unbreak my heart. And Cupid leads the way . . . the way to happy valentine hearts, that is. Valentine's Day is especially fun for seniors because of the "love" food involved. Seniors love to get together to eat and have fun. They never need a reason to party, seniors just naturally love to live it up. Whether it be easy valentine recipes, heart healthy snacks, or just a game for charity making sentences out of candy hearts; seniors are up for the task as long as the word "party" is attached to the idea. BYO Crockpot Party - Have a gathering of senior valentine hearts to a Crockpot Party. Each invitation requests a specific crockpot dish to share. You can specify Appetizer, Main Course, Side Dish, or Dessert, or just go "pot luck" and let them bring what they want. Hot Tubs, Hot Rocks, & Hot Pots (of chili, soup, & stew) - Seniors know the way to happy valentine hearts is in living it up, painting the town red, or having some fun with each other just prior to dining and sharing those stories. 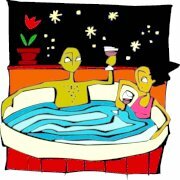 Plan a hot tub party and find a massage therapist who will do hot rock back and leg massages after a soak in the hot tub and before some nourishing and yummy concoctions awaiting them through the shared crockpot (hot pot) surprises. What could be more warming than this? This is definitely the way to valentine hearts. Then top it off with a nice bowl of chili, beef stew, or a heart-warming cup of hot chocolate, hot cider, or even sipping an aged brandy? Fire Pit, Hot Chocolate & Smores Party - Who doesn't like warm conversation and snuggles in front of an open fire pit while sipping on hot chocolate, and indulging in Smores? What says Happy Valentine's Day more than this? What a great way for seniors to live it up and make lasting memories. Fun, Frolic and Fondue - Throw a fondue party. You can host it all yourself or let everyone share the duties and just join up to have some fun. Is there anything more "loving" than chocolate fondue? A chocolate fountain? Fresh strawberries to dip? I feel love in the air, don't you? Kind of gives you "warm fuzzies" all over, doesn't it? Ice Cream Social - Have an old crank handle ice cream maker? These are great for all the muscle men who like to strut their stuff at a party. Let them put their muscles to work and make it a contest with several flavors and mixtures for your party ice cream social. 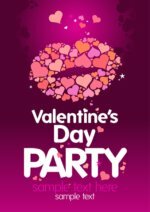 Passion Party - What better time of year to have a passion party than Valentines Day. Find a passion party planner in your area and let the good times roll with your own ideas for your senior party theme. Everyone enjoys a little passion in their lives, especially seniors prime playmate, Cupid. This is only one of many adult party themes. 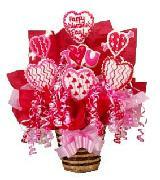 There's always surprise party ideas when it comes to happy valentine hearts and senior valentines party. "Spread Your Own" Party - The Way To Valentine Hearts - Seniors Paint The Town Red Party. Make it up as you go along. Each attendee could bring a "spread" of their choice to slather over crackers or crusty bread bits. There are some wonderful dips and spreads just right for Valentine's Day. What makes the heart warmer and more inviting than a nice warm cheese spread on crackers? Deviled ham spread? Red Pepper Humus Spread? Or your favorite cheese roll? How about crab salad spread? Have you ever tried easy valentine recipes like Hot Red Pepper Jelly poured over Cream Cheese served with assorted crackers, then garnished with valentine hearts? So many to choose from. These would pair well with a nice glass of champagne before engaging in a few games of competition with your friends. Mix melted butter with seasoning in small bowl. Combine dry ingredients in Crockpot. Drizzle butter mixture over dry ingredients and toss lightly. Cook on High 2 hours but DO NOT COVER. Stir well every 30 minutes. Turn to Low temperature and cook for 2 - 6 hours. Serve. Store in air-tight container. Makes 10 cups mix. These are great for any themed party ideas. Bake potatoes until almost done but still firm, let cool. Peel and cut potatoes into bite sized pieces, leaving peel on. In large crockpot on high heat, melt butter. Add flour and stir until blended. Reduce heat to medium, slowly adding milk until mixture is blended. Add potatoes, green onions, and bacon. Cook covered in crockpot until potatoes are done. Stir in cheese and sour cream, salt and pepper to taste. Heat until cheese is melted. This is one of many easy valentine recipes for your senior valentines party. Roast Peppers and Tomatillos. Seed and peel the peppers, then set aside. Remove the husks from the tomatillos. Set aside. Place frozen spinach in crockpot. Heat oil in large skillet over medium heat and cook the onion and garlic until soft but not browned. Add chilies and tomatillos. Cook 3 - 4 minutes. Add this mixture to the crockpot. Cover and cook on Low 4-6 hours. Stir before serving. Serve with sour cream, if desired. Makes 6-8 Servings.This recipe will definitely "warm" those happy valentine hearts. Place all ingredients except Basil in crockpot. Mix thoroughly. Cover and cook on low 7-9 hours or on High 3-4 hours. Sprinkle with basil before serving. Serve over Rice or Pasta. Makes 8 generous servings. Who doesn't love chicken dishes? Great addition for your senior valentines party. Combine sugar, cocoa, salt, and a small amount of milk to form paste. Dilute with little milk until syrup forms. Beat until very smooth. Pour rest of milk into crockpot and mix with sugar mixture until well blended. Add vanilla. Cover and cook for 2 hours. Add cream and chocolates. Cook on low 10 minutes stirring frequently. Pour hot chocolate into 6 cups and top with half whip cream and half marshmallows. Shave a little chocolate on top or garnish with mini chocolate chips. A special valentine hearts warmer. Makes the party much cozier and warm. This wonderful dip is yummy with Ritz crackers. Mix all ingredients together and place in a heatproof dish. Bake at 305 Degrees about 15 minutes, until hot. Combine first five ingredients in large mixing bowl. Add eggs and oil, stirring until dry ingredients are moist, but do not beat. Stir in vanilla, pineapple, half of the pecans, and bananas. Spoon batter in 3 greased and floured 9 inch round cake pans. Bake at 350 degrees for 25-30 minutes. Cool in pans 10 minutes. Remove and cool completely. Spread Cream Cheese Frosting between layers and on top and sides. Then sprinkle remaining pecans on top. I've never met a senior without a sweet tooth, especially this time of year when they carry around valentine hearts made of love. There are many cool party themes and tons of party food ideas. The sky is the limit, and you are the judge of what your party should be. 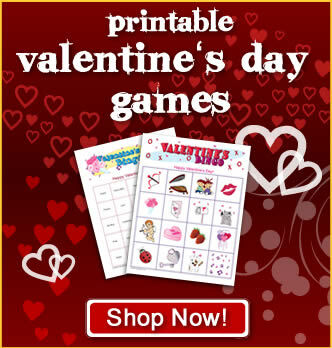 Check out some valentine party games and invite your friends and loved ones for a night of fun! Just remember, the way to valentine hearts, is to have a party. Seniors love to live it up, and on Valentine's Day, seniors really paint the town red! 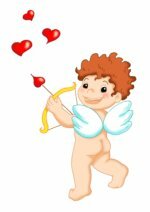 Follow your Cupid.